Loving Lodge Lane 2015 starts tomorrow with Picton Ward. There is lots of activities for everyone to get involved in so why not pop along! 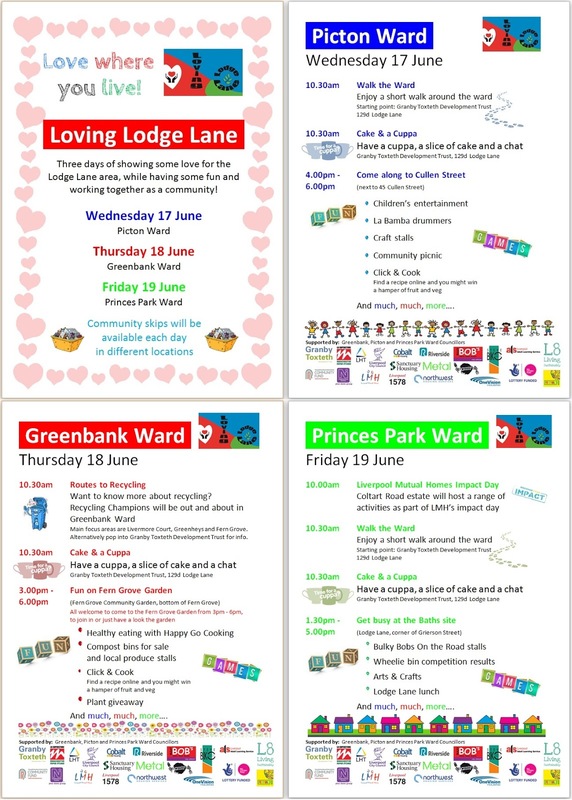 Toxteth Job Centre have just confirmed that they will be attending all three days of Loving Lodge Lane, as will the Liverpool Adult Learning Service who will be bringing their mobile learning centre.